Dr. Bill Steffes is a board certified dermatologist who specializes in medical and surgical dermatology. He has a dedicated interest in the early detection and treatment of skin cancer, as well as the management of many common dermatologic disorders including acne and psoriasis. His priority is helping patients achieve healthy skin and improving their quality of life. 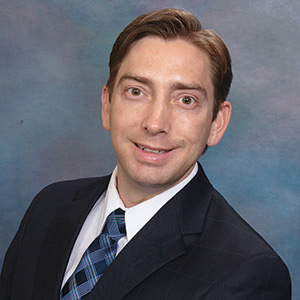 Dr. Steffes was born and raised in Baton Rouge, Louisiana where he attended Catholic High School. He attended college at The University of Texas at Austin where he earned a B.S. in chemical engineering. He then returned to Baton Rouge to work as an engineer for a local environmental services firm. After several years of engineering, Dr. Steffes made the decision to attend medical school and enrolled at Louisiana State University Health Sciences Center in New Orleans. He graduated at the top of his medical school class and earned several academic awards including becoming a junior inductee into the Alpha Omega Alpha medical honor society. Dr. Steffes and his wife then moved to Gainesville, Florida where he completed an internship in Internal Medicine at the University of Florida. He went on to complete his dermatology residency at UF where he served as Chief Resident.